Art imitating people. Each life-like Impostor is meticulously hand-sculpted creating their own individual personality. Evident is exceptional creativity, workmanship and a sense of humor. Their costuming is authentic with great attention to detail. Their arms and fingers are moveable and constructed to support objects. Upright figures are free-standing while the seated figures feature poseable legs. The sculptures are sturdy, virtually unbreakable, and lightweight (approx. 30 lbs). 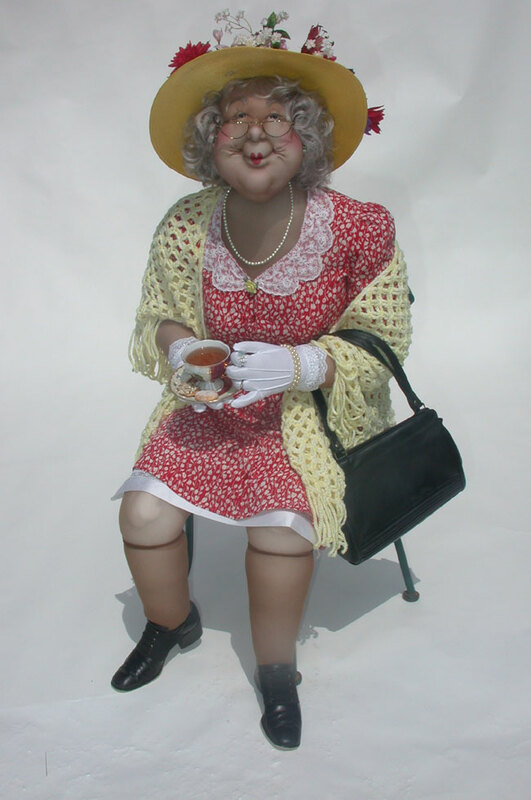 Standing figures are around 68" tall and of course they all wear a smile.